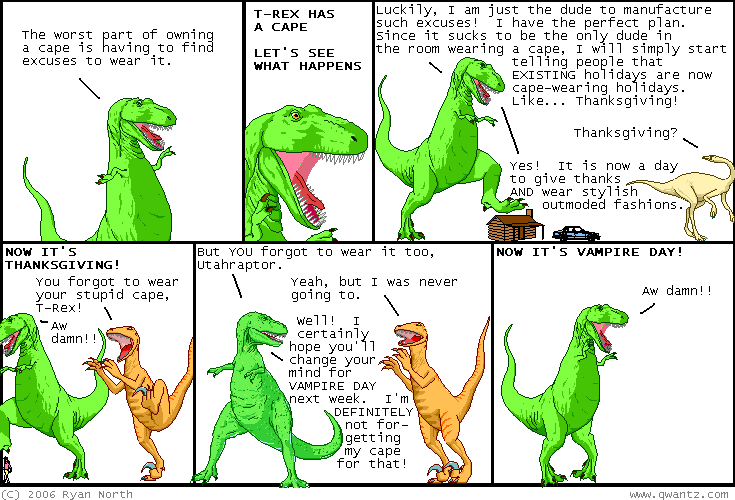 Dinosaur Comics - June 13th, 2006 - awesome fun times! –There's nowhere to go but down! June 13th, 2006: I have a copy of Sisqo's "The Thong Song" that starts skipping half-way through, and I never noticed until today, because I'd never gotten that far into it before! Can you believe it? One year ago today: competitive eating / the saltine challenge!